Provides an easy and quick application. 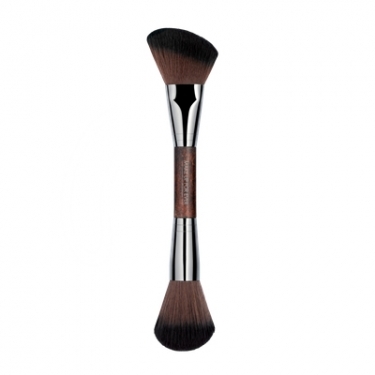 Double-Ended Sculpting Brush 158 is a Make Up For Ever makeup brush specifically designed with two ends to apply powder or highlight with the rounded tip and sculpt cheekbones with the slanted side. 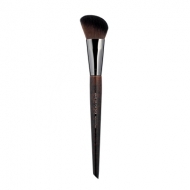 The wavy and smooth fibers provide top smoothness and comfort with a touch of light and color. 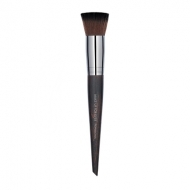 This two-in-one brush provides an effortless and easy application. 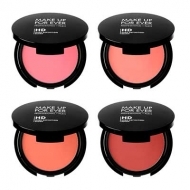 Use the slanted side to create shadow under the cheek bones, then use the dome side to highlight or color.